Big thanks to Dancerer for this wonderful graph! Info taken from Nodiatis forum. 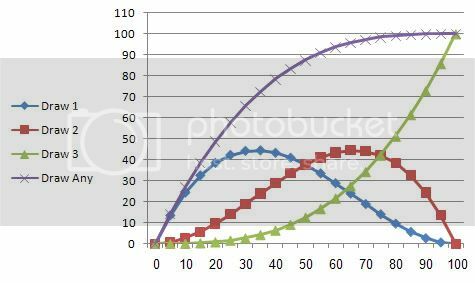 Since this skill advancement is not linear like most - I thought some of you might appreciate this graph showing the chances of getting 1, 2, 3 or Any of the aura gems in your 2nd,3rd and 4th highest positions drawn when battle starts for each level in this skill. This graph assumes 3 aura gems are in these 3 slots. Vertical is percent and horizontal is skill level.